Why Does the Texas Gulf Need Artificial Reefs? Scientific diver setting up camera and laser system to capture fish lengths. What is the condition of the reef material and is it moving? What type and quantity of marine life is living on the reef? To get these answers, the TPWD dive team schedules at least four 3–4 day dive trips per year. The monitored sites can be randomized or specific, depending on the purpose of the scientific study. Some sites are monitored frequently to collect “trends” data such as how the reef site has evolved over time. Other sites are selected based on the type of site such as petroleum platform, ship or concrete culvert reef. Each type of reef is created for a different purpose, so different monitoring techniques help the reef program gather the appropriate data needed to evaluate that particular reef environment. 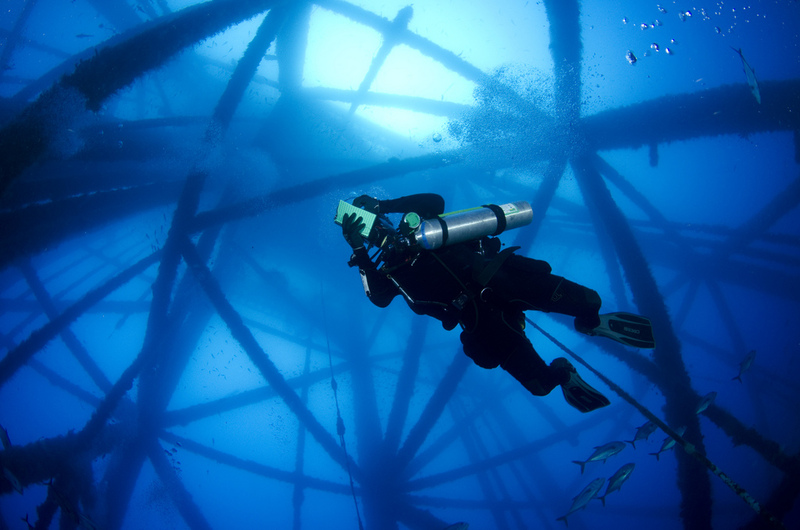 For example, deep-water petroleum rig sites 70 miles offshore require different monitoring techniques than nearshore reef sites 10 miles off the coast with limited visibility. Diver records number of fish by species. Scuba diving is one of many tools that the reef program uses to monitor the results of artificial reefing. This helps answer numerous questions such as: Is the reef supporting the development of marine life? Is the design of our reef sites cost efficient to TPWD and the most productive for the marine environment? In other words, are we using state dollars effectively and getting a good return on our investment? 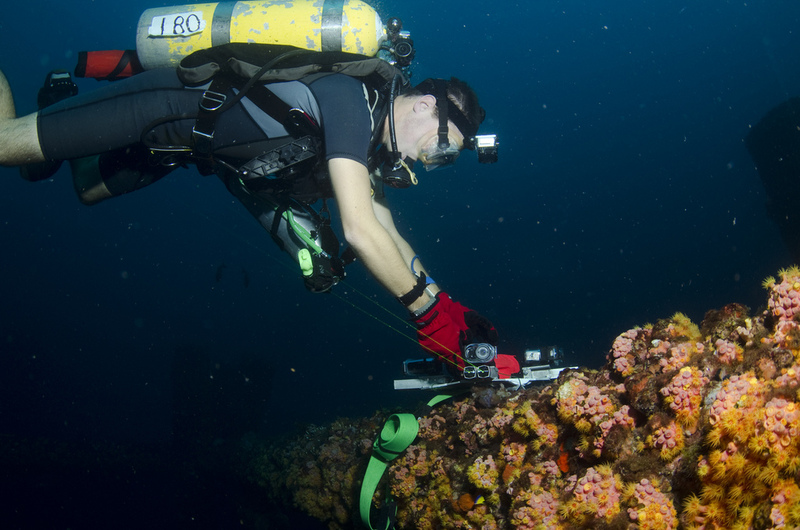 In addition to these management questions, observations made through diving add to the overall scientific knowledge base of how artificial reefs affect and enhance marine life in the Gulf of Mexico. Is the data significantly different from what we have seen before? If it is, then why? Should we change the way we create reefs? Is there a better way to create or enhance reef sites and/or should we modify our monitoring techniques to get better data? Biological monitoring of reef sites is an ever-evolving business. When our scientific findings are of significance, then we present the results to other artificial reef managers and the scientific community through research papers and presentations. The artificial reef community learns from each other.